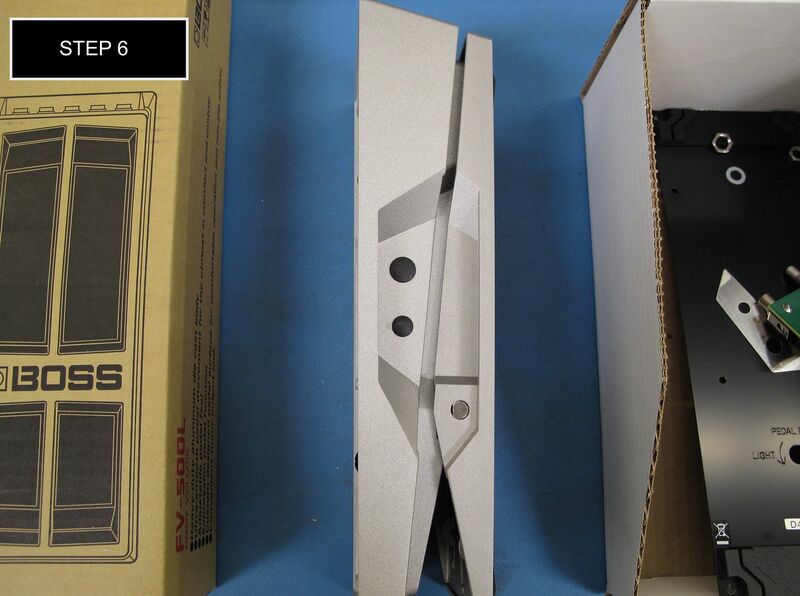 Below I will show you how to modify your Boss FV-500L volume pedal to make it the most transparent and organic sounding passive volume pedal on the market, used by many of the top artists and studio guitarists in the world. 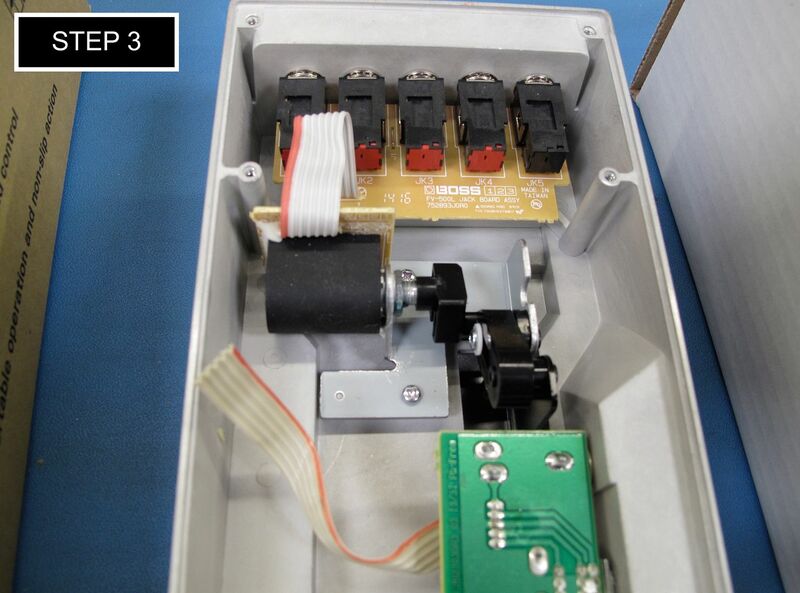 Remove the bottom plate from volume pedal to expose potentiometer, PCB, and input, output, and expression jacks. 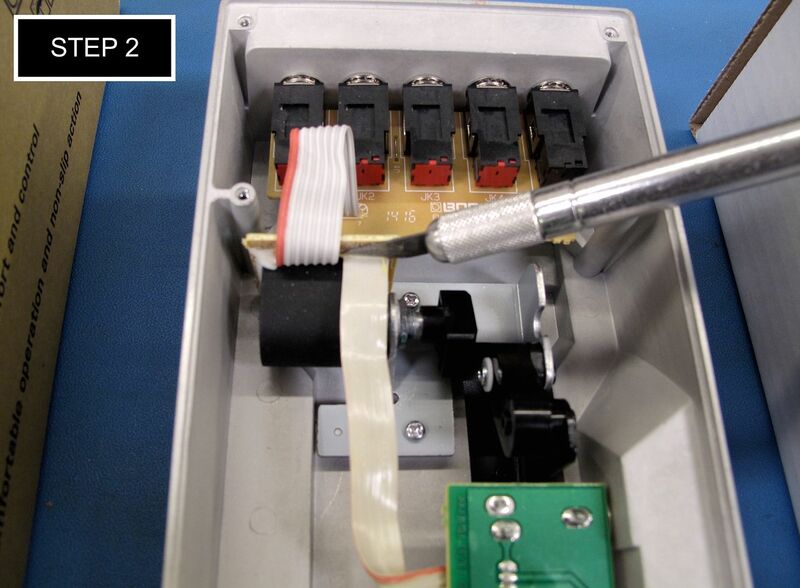 Get a sharp X-Acto knife to cut away the ribbon wire that connects the tuner output and minimum/maximum volume pot to the main PCB. 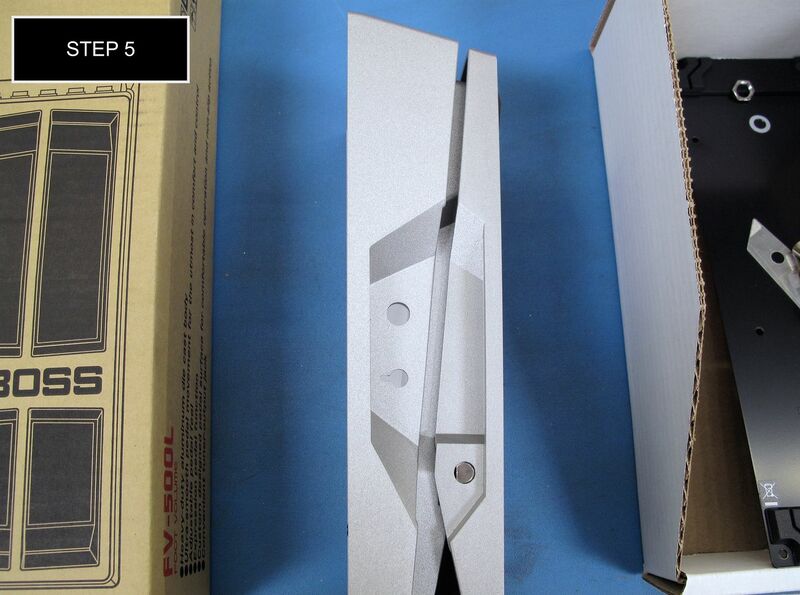 Make sure that your X-Acto knife is very sharp and that you’re pressing hard against the PCB as you cut it away. 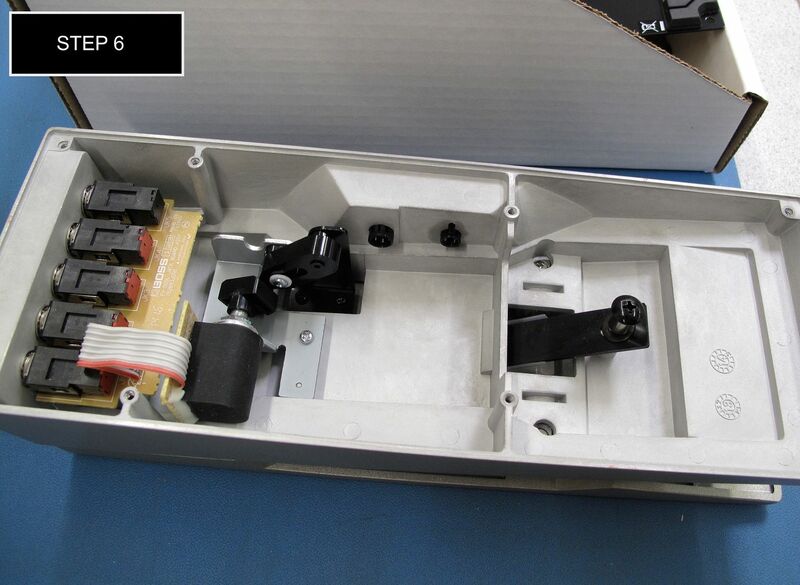 If the cut isn’t clean, and not all wires in the ribbon are cut flush with the PCB, you may have an issue with the exposed wires touching each other and it will short out the signal. 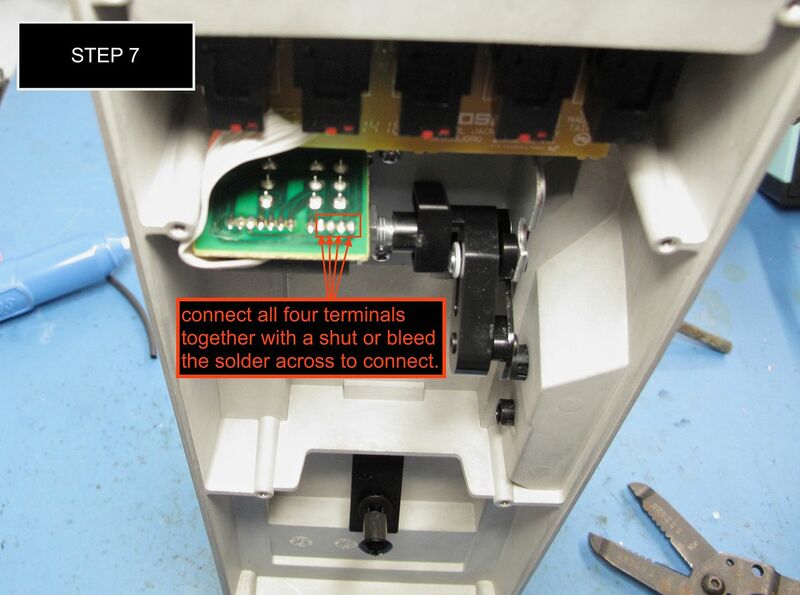 Cut away the ribbon wire and separate from main PCB. 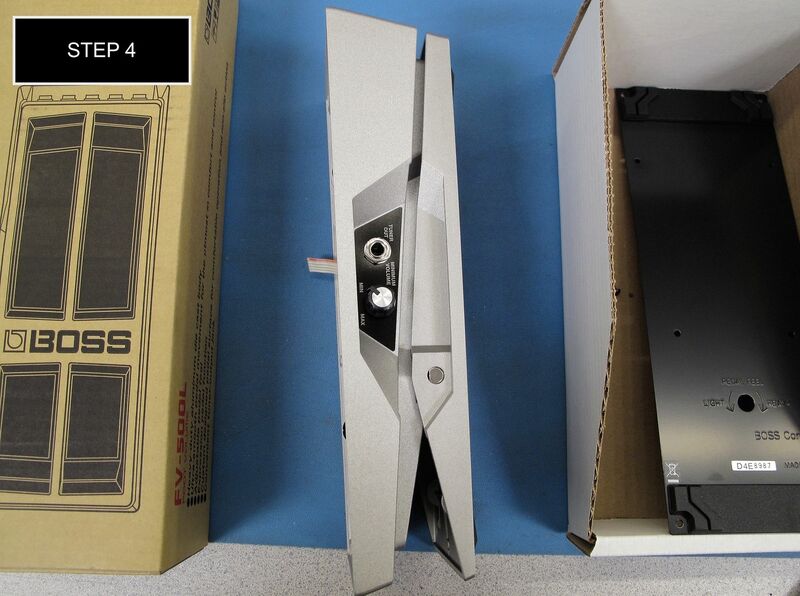 Turn the volume pedal on its side so you can remove the knobs, nuts, and washers securing the minimum/maximum volume potentiometer and tuner out jack. 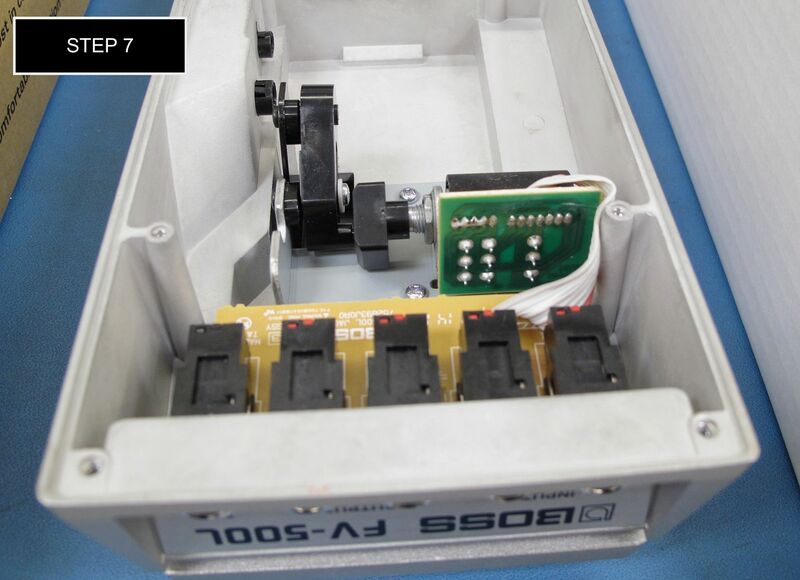 Remove all hardware from the side of the volume pedal and remove the PCB that holds the minimum/maximum volume pot and tuner out jack. 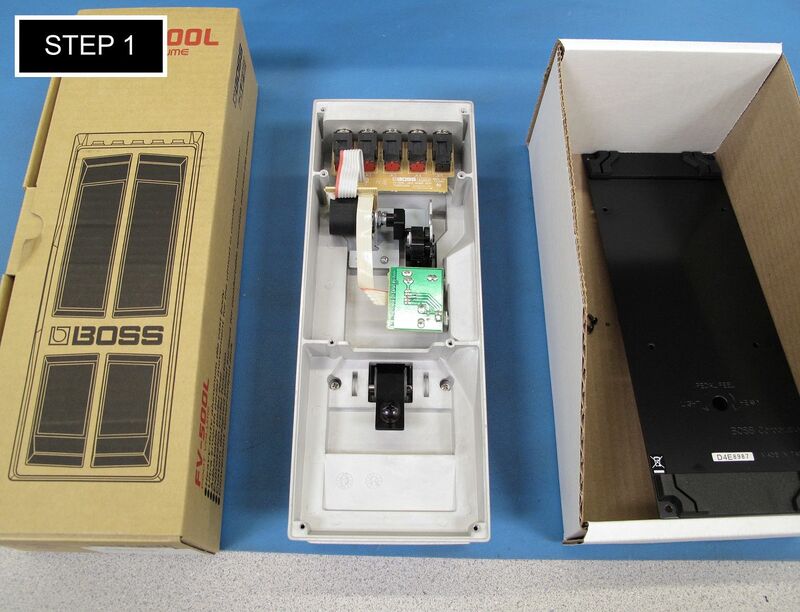 You may discard this PCB and all of the hardware you removed (it won’t be needed to complete the mod). 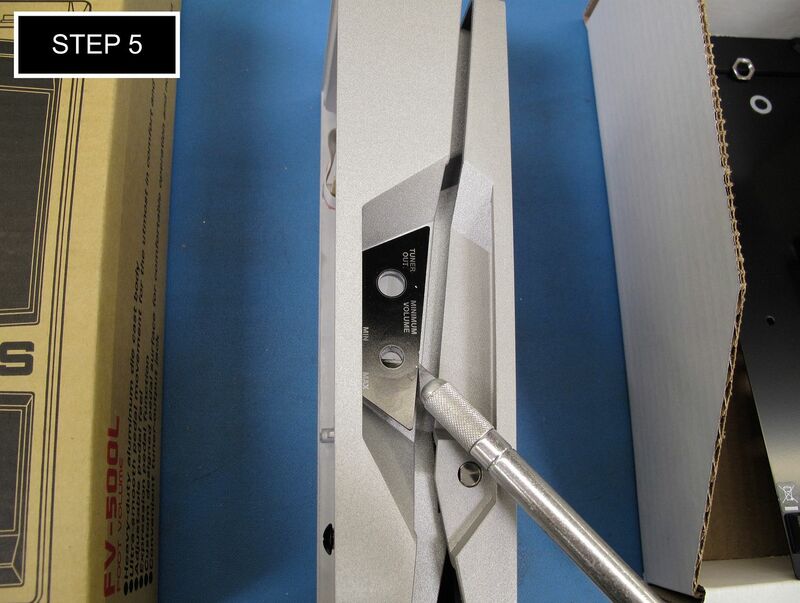 Remove the aluminum plate that previously labeled the minimum/maximum volume control and tuner out. You can use a X-Acto knife to catch the edge of the plate and gently pull up on it. It will come off easily, but may leave some glue residue. If a residue is left, use Goo Gone or another adhesive remover and wipe away to leave a clean surface. 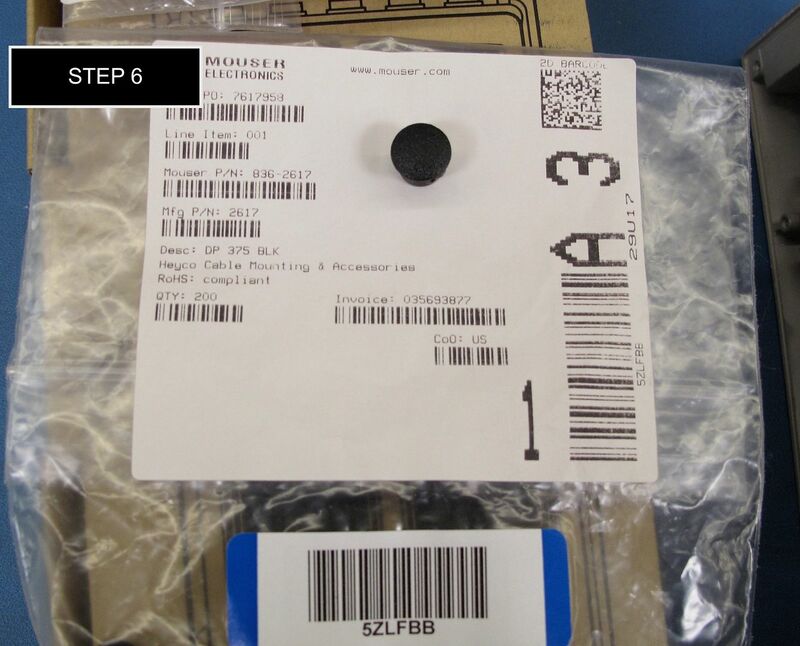 Use the following plastic hole plugs to insert into the exposed holes on the volume pedal enclosure where the minimum/maximum volume control and tuner out used to be. Solder the 4 solder holes indicated in the picture on the PCB. 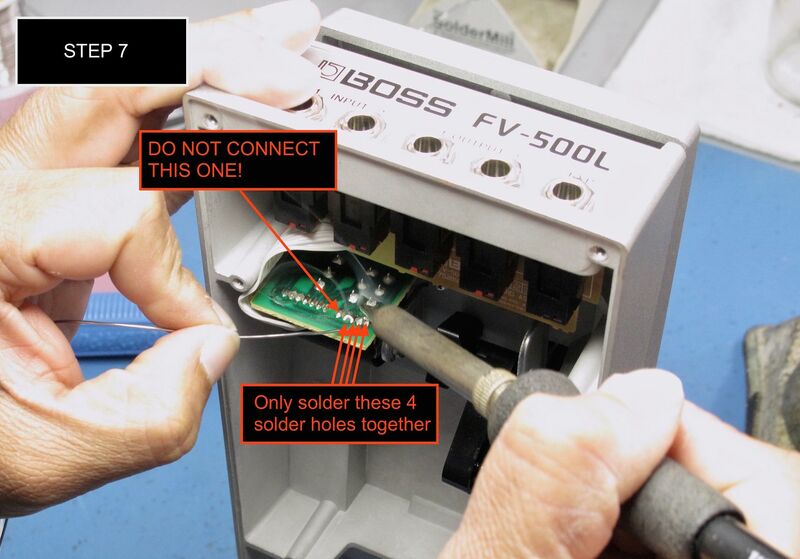 Make sure to only connect those holes with solder (or shunt). *WARNING* Connecting the furthest terminal will cause a failure. 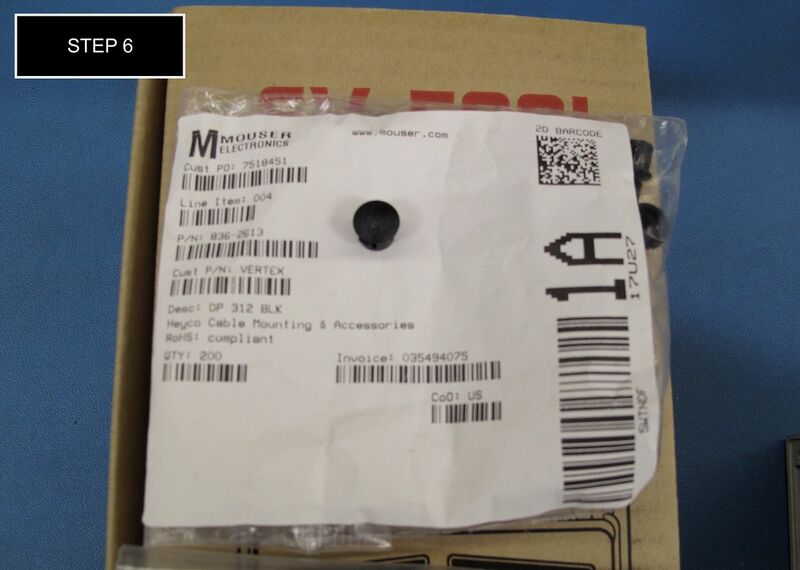 Allow the solder to bleed across the 4 solder holes careful so you can control the flow to the desired areas. If you have a shunt, this may be soldered across the four holes easily as well, but isn’t required or necessary to perform the modification. 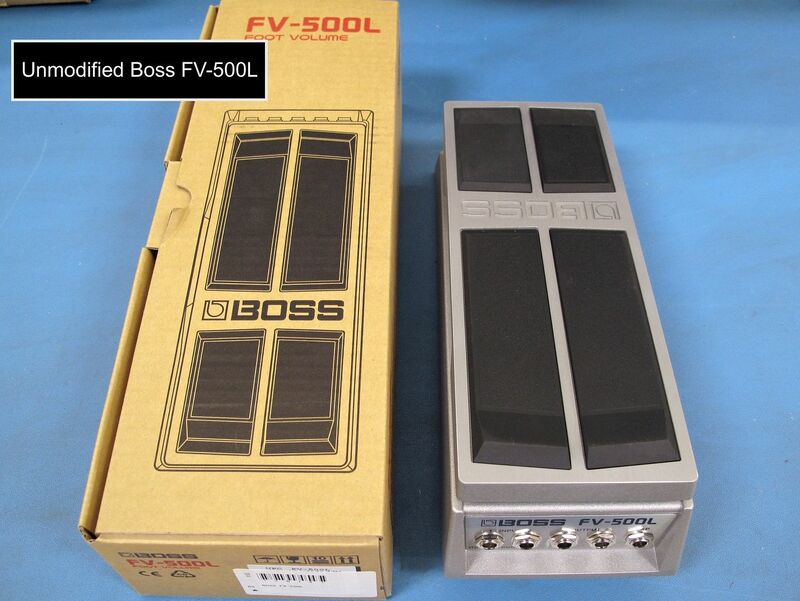 Enjoy your newly modified Boss FV-500L Volume Pedal!